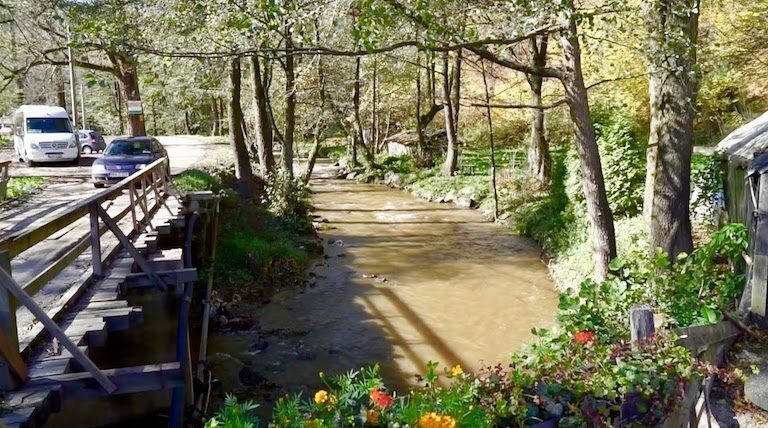 Residents of a small Bosnian village kept watch day and night for years so that construction vehicles could not access the site of a proposed dam just upstream that would threaten their river’s health. 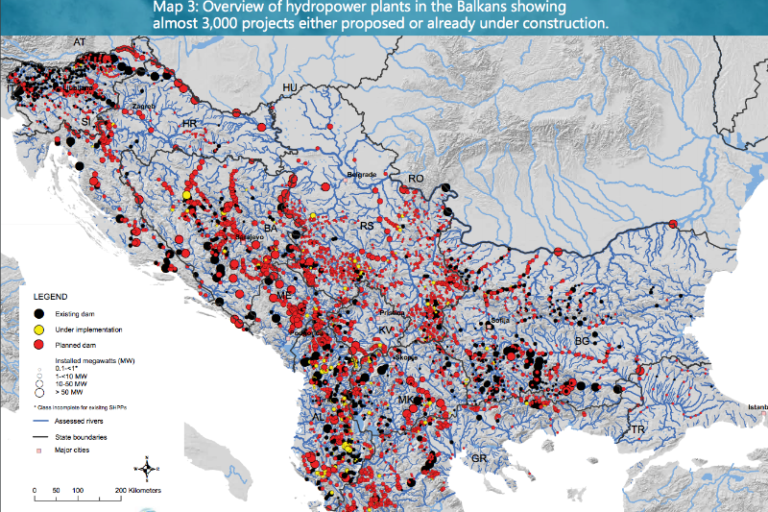 Protests like it have become common here and in other Balkan nations such as Albania, Macedonia, and Serbia, where a growing trend of hydroelectric power projects aims to capitalize on the region’s having many of the last free-flowing rivers in Europe. Plans have been laid for nearly 3,000 new hydro dams across the Balkans, a 300% increase in the past two years. The people of Kruščica are celebrating a recent win: a judge revoked the dam’s construction permits in December, citing a lack of community consultation. KRUŠČICA, Bosnia-Herzegovina – On the banks of a river in central Bosnia, a group of women have been standing guard. The village of Kruščica is named after its river, which descends from a lake high in the forested mountains of central Bosnia before crossing into town underneath a rickety wooden bridge that is only wide enough for one vehicle to cross at a time. It’s beside this bridge where Kruščica’s residents have kept watch, day and night, so that construction vehicles cannot access the site of a proposed dam just upstream. If the dam were to be built, they say, their small town would be destroyed. The Kruščica River flowing through Kruščica, a small town in Bosnia-Herzegovina. 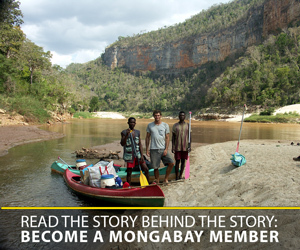 Photo by Jordan Salama for Mongabay. The “Women of Kruščica,” as the group has come to be known (the majority of its leaders are indeed women, though the men do take the overnight shifts) have garnered international attention for watching over the bridge for nearly two years now. They do so twenty-four hours a day, seven days a week, from a small log cabin that sits beside the bridge’s entrance. Whenever they get word that construction vehicles may be on the way, they sit on the bridge itself, forming a human blockade. Early one morning in August 2017, when the women didn’t allow several bulldozers and excavators to pass, a police force was sent to disperse them. Protests like that of the Kruščica villagers have become common in Bosnia and other Balkan nations such as Albania, Macedonia, and Serbia, where a growing trend of hydroelectric power projects aims to capitalize on a region filled with many of the last free-flowing, unexploited rivers in Europe. In Bosnia, a country still struggling to recover from a long-running ethnic conflict in the 1990s that left its industry and infrastructure crippled, the government is enthusiastic about dam construction and the potential economic growth that hydroelectric energy exports could bring. As a result, plans have been made for nearly three thousand dams across the Balkans, a 300 percent increase over recent years, according to the environmental NGO Riverwatch. In Bosnia alone, which is less than half the size of the state of Ohio, more than three hundred are planned, set to affect every river in the country. Private investors are all eager for a piece of the action—in southwestern Bosnia, even former NBA basketball player Mirza Teletović has obtained a construction permit. But environmental organizations across Europe are trying to stop it. “We call it a dam tsunami,” said Nataša Crnković, President of the Centre for Environment (CZZS), the largest environmental NGO in Bosnia-Herzegovina, which is fighting on behalf of several local protest movements in Bosnia, including the one in Kruščica. 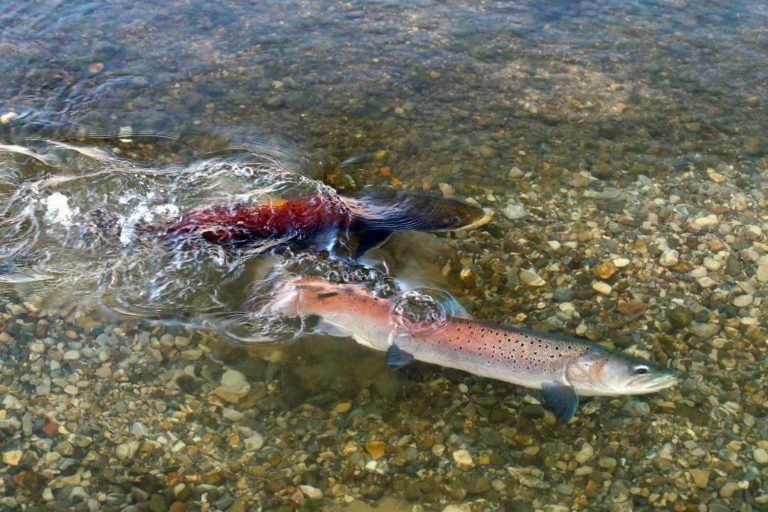 Organizations like the CZZS claim that hydropower development—still widely considered to be a “renewable” energy source because of its lack of fossil fuel emissions—is not “clean” at all, leaving environmental destruction in its wake and harming entire regions by contaminating drinking water and disrupting habitats for endangered species like the Danube salmon (Hucho hucho). Separate studies by scientists in India, Norway, Spain, and China, among other countries, support the concerns of the CZZS. At the same time, both environmental activists and scientific studies argue that environmental impact is heavily dependent on the size and scale of hydropower projects. In Bosnia, the vast majority of planned dams, including the one in Kruščica,are “small-hydropower projects”—that is, any dam with a capacity of less than 10 megawatts (MW), according to United Nations country-specific standards. But studies show that small hydropower projects together have a more negative environmental impact than a handful of large dams. Bosnia-Herzegovina is perhaps best known to the world as a country that was ravaged by war from 1992-1995, in which Muslim Bosniaks, Catholic Croats, and Orthodox Serbs were pitted against one another in a brutal ethnic conflict that left an estimated 100,000 dead and coined the term “ethnic cleansing.” Lingering ethnic divisions continue to plague all facets of society, from the education system to the Parliament. Before the war, Bosnia – which had been a part of the former socialist Federal Republic of Yugoslavia – was an industrial country characterized by its timber, metal, and textile industries. But that was before the siege of Sarajevo—at nearly four years, the longest for a capital city in the history of modern warfare, at the time—and extensive violence in the countryside decimated all of Bosnia’s major production sectors. The collapse of industry and the stagnating economy as a result of the war have positioned hydropower as a potential creator of jobs, and as a rare, viable export for a country desperate for foreign income. Joining the European Union is viewed by many as another crucial step for future prosperity in the country, but a number of issues relating to Bosnia’s lack of economic and social progress after the war have prevented that from happening. Ms. Kapetina, from the Ministry of Energy, emphasized that hydropower development is a crucial part of the Bosnian government’s obligation to meet broadly-defined renewable energy standards as set by the EU. “Our aim is to be in line with EU goals,” Ms. Kapetina said. The problem with this, say environmentalists, is that the widely-accepted classification of hydroelectric energy as completely “clean” is misleading. “Hydropower is considered a renewable energy source, and it is ‘renewable.’ But it is not sustainable, and it is not green energy,” said Viktor Bjelić, the vice president of CZZS. “We can expect a loss of biodiversity. We can expect a loss of potable drinking water. We can expect a dry riverbed,” he said, specifically referring to the Kruščica. An analysis of hydropower and emissions by scientists at Washington State University also noted that reservoirs created by dams emit high amounts of methane—a potent greenhouse gas. But such environmental arguments do not seem to be gaining much traction among Bosnian officials. The government, in fact, is providing subsidies for potential private dam builders, almost all of whom are planning “small hydropower” projects. The CZZS alleges that rampant corruption throughout Bosnia’s complicated governmental system allows these concessions to be handed out without much oversight, and that the little bit of energy that will be produced is not worth the possible negative environmental or community impacts. “These damages—which are obvious to the environment, to the people, to the society, to the economy—are not worth it to produce a bit of energy for export,” said Mr. Bjelić. In the United States, the trend of dam building is reversing: 86 U.S. dams of all sizes were dismantled in 2017, surpassing the previous one-year record of 78 dams removed in 2014. And in the E.U., more than 5,000 small dams, weirs and culverts have been removed from rivers in France, Sweden, Finland, Spain and the United Kingdom in the past 25 years. But the government of Bosnia feels differently. “A lot of small hydropower plants in the end contribute a significant amount” to the country’s total energy exports, Ms. Kapetina said. Expressing her own personal opinion, however, she added, “I think it’s better to find one place to build a bigger hydropower plant that will produce enough electricity, instead of several small hydropower plants.” But she admitted that such an opinion was not the official position of the ministry. During the campaign, the bridge over the Kruščica was adorned with anti-dam banners and the hut alongside was staffed 24 hours a day. Photo by Jordan Salama for Mongabay. There are a few larger dams planned in Bosnia that could provide an alternative to the small hydropower boom. One such project is a potential hydropower plant on the Drina River, along the border of Bosnia and Montenegro. Plans for the project date back to 1970s-era Yugoslavia and are now coming back —if built, the dam would have a capacity of 100 MW and cause upriver flooding within Bosnian territory. “We have really strict and detailed due diligence focused on technical but also environmental and social issues,” said Damir Cengić, a banker at the European Bank for Reconstruction and Development (EBRD), one of the major potential investors in the big dam on the Drina. He said that the EBRD hired a French consulting firm in 2017 to assess the potential negative impacts of the Drina project after receiving letters from a number of environmental groups, and are awaiting the results. These are the kinds of guidelines that are met by most international banks when it comes to funding decisions for large-scale hydropower projects, according to Mr. Cengić. He added that in cases of small-hydropower plants, which the EBRD remains wary of, investors often go with local banks because they require less environmental oversight. “Local banks are not so strict on these issues and I think they can more easily finance these small projects,” Mr. Cengić said. 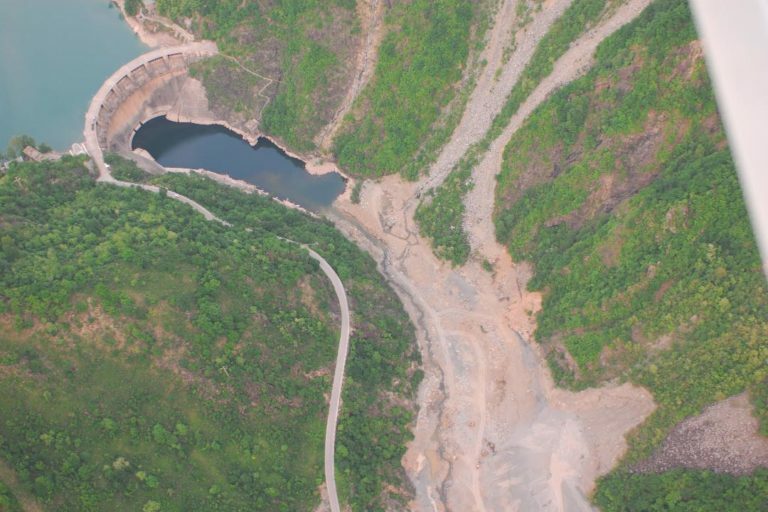 Despite having stricter background checks, large banks like the EBRD are still criticized by environmental activists who insist that all hydropower development in protected areas must be stopped. A tall dam on the country’s Neretva River illustrates the drying effect dams can have on the downstream side. Photo courtesy of Riverwatch. But, given the choice of other forms of energy production, Cengić says the EBRD will stand behind hydropower as long as projects meet the bank’s environmental standards. “We of course would rather consider financing HPPs (hydropower plants) over coal power plants,” he added. At the same time, Mr. Cengić agrees with the activists that the long-term economic benefits of small hydropower projects are not as evergreen as they are sometimes presented. “I think it’s overstated that it will really be these small ones that will boost the economy,” he said. Once construction is completed, he said, “maintenance and operation are all digitized, and it’s all done remotely.” The jobs, like the river, eventually dry up. Back in Kruščica, the women are celebrating a recent win in court: in December, a judge revoked the dam’s construction permits, citing a lack of community consultation. But the battle might not be over. “The construction permits are cancelled, but not the concession contract,” said Mr. Bjelić of the CZZS. The investor still has rights to develop the land. 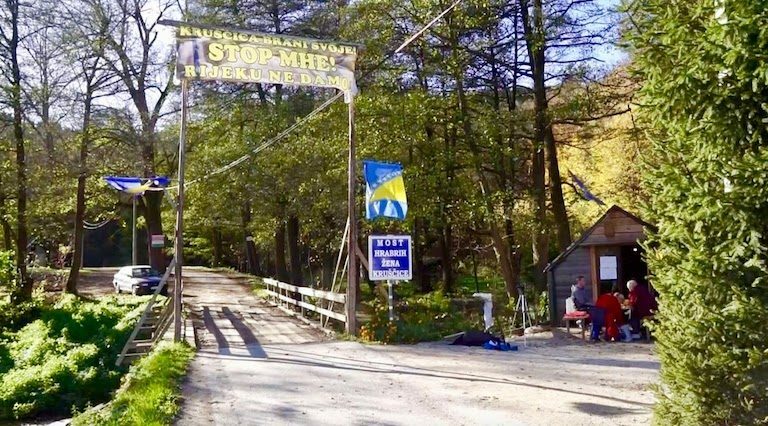 Though the women have stopped standing their guard at the hut, they say they will continue their fight, inspired by a success story in the nearby town of Fojnića where similar protests let to the permanent cancelation of a dam project. Until then, the women still fear the worst while hoping for the best. Additional reporting by Liam O’Connor. Princeton University’s Ferris Program of Journalism provided travel funding for this story.